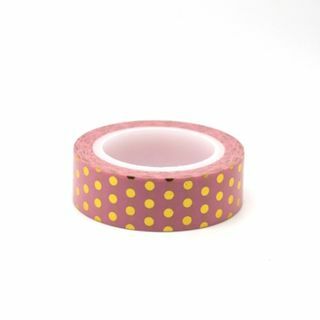 >Home >Shopping >Washi Tape >Boutique Tapes >Chi Chi Co.
A GORGEOUS GOLD FOIL POLKA DOT ON PASTEL PINK WASHI TAPE BY AUSTRALIAN BRAND CHICHI CO. ALSO AVAILABLE IN PASTEL BLUE AND PASTEL MINT, SOLD SEPARATELY. 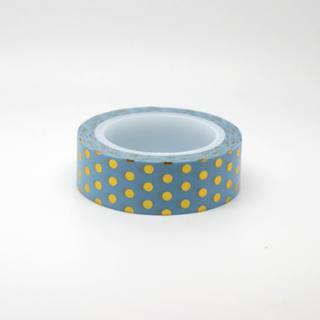 A GORGEOUS GOLD FOIL POLKA DOT ON PASTEL BLUE WASHI TAPE BY AUSTRALIAN BRAND CHICHI CO. ALSO AVAILABLE IN PASTEL MINT AND PASTEL PINK, SOLD SEPARATELY. 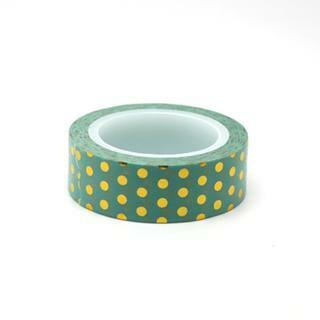 A GORGEOUS GOLD FOIL POLKA DOT ON PASTEL MINT WASHI TAPE BY AUSTRALIAN BRAND CHICHI CO. ALSO AVAILABLE IN PASTEL BLUE AND PASTEL PINK, SOLD SEPARATELY.